South Africa has become the most popular tourist destination in the African continent for reasons that become obvious as soon as you arrive. It is a country that offers an amazing range of attractions and experiences. A welcome with a heartfelt smile awaits as you begin a journey through this remarkable land. You will be enthralled by a wealth of history and culture from regal tribes of Kwa-Zulu Natal to the great political figures of Soweto. 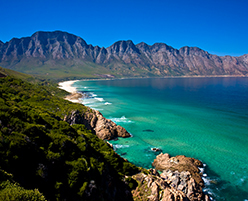 You will discover breathtaking scenery from the rugged unspoilt coastline of the Wild Coast to the natural beauty and charm of Africa's "Garden of Eden", the famous Garden Route with its quaint historic villages. 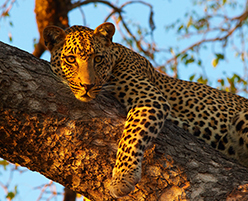 You will have the opportunity to photograph amazing wildlife, from the Big Five that roam the great Kruger Reserve to the whales the gentle giants of the ocean that visit the shores of the Cape each summer. South Africa's climate is seasonal, getting quite chilly in winter (May-August). It's pleasantly warm and sunny in spring and autumn, and delightfully hot in summer (November-March) with frequent heavy tropical rains and hailstorms to cool things down. The best time to visit is in spring and autumn, when the weather is good and the crowds are smaller. Passports must be valid for a minimum of 30 days after the period of intended departure from South Africa.